Middle school is perhaps the most awkward set of years in a person's lifetime. For girls, this is the age where boys are either still gross or becoming attractive. For Finley and Maya, boys are categorized three ways at Fulton Middle School: Croakers, Tadpoles, and Frogs. 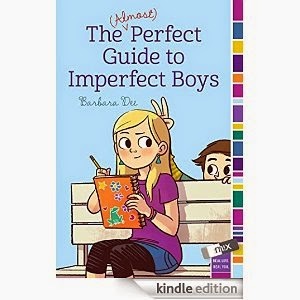 Finley and Maya have created the ultimate, and almost perfect, guide to boys. Croakers are boys whose voices are in the midst of changing, thus they "croak" when they say certain words. Tadpoles are the immature boys who prefer to act silly at every moment. Finally, Frogs are mature boys who can carry on a conversation with you and make eye contact. They are the epitome of the Amphibian Life Cycle. Finley is outside retaking a yearbook photo of Maya when she notices a possible "Frog" in the distance. Spying with her lens, she suddenly realizes she has been seen, and she quickly begins talking to Maya as the boy calls Finley's name. Confused, Finley asks if she knows the boy, and he tells her that he's Zachary Mattinson, the "Freakazoid" from seventh grade who disappeared halfway through the year. With Zachary's reappearance, Finley's almost perfect guide quickly becomes imperfect. With authentic middle school voices, Barbara Dee presents middle school social life with humorous accuracy. Being a middle school student isn't easy, and Dee brings the drama of boys vs. girls and the challenges of curriculum (Finley and Maya's Spanish class) to life. A middle grades reappropriation Mean Girls.